Saw these on the web and bought a set for my son. He camps a lot and likes to cook. 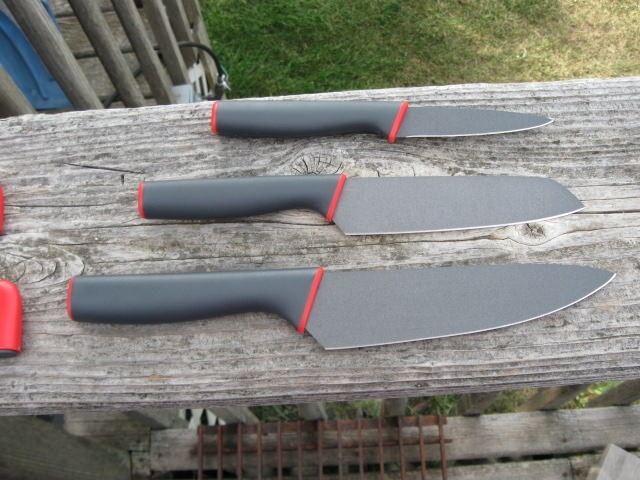 They fit securely in the sheaths and the built in sharpener works okay on these knives. We have one in the kitchen and it works pretty well for an inexpensive knife. 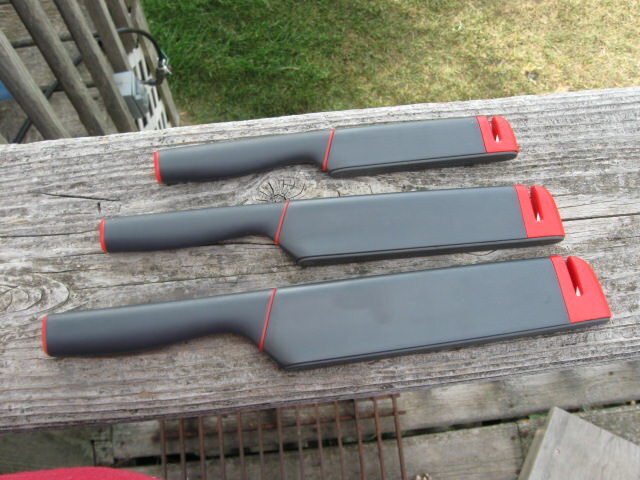 Those look like they would be very handy. I like em. All three of those are something I would use, neat. Those look like they'll get the job done quite nicely. Who makes'em and where can ya get'em? They are also on Ebay from time to time. I might have to order a set for my wife. She doesn't think twice of cutting on marble, ceramic plates, glass, etc. I keep moving my Crashblade knives around (hiding) so she can't find them and destroy their edges. I bought a set of cheap Chinese knives for her and they cut like spoons now. Maybe I can get a shot of her mutilating a tomato with one. LOL. I kinda like the scabbards. 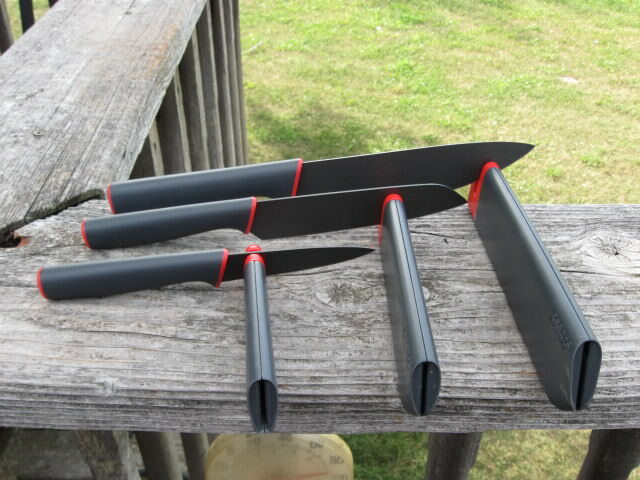 The knives look pretty slick resting in them. Looks like a handy set. Thanks for the info. look a lot like the Ethan Becker ESEE sets that were available several years back.